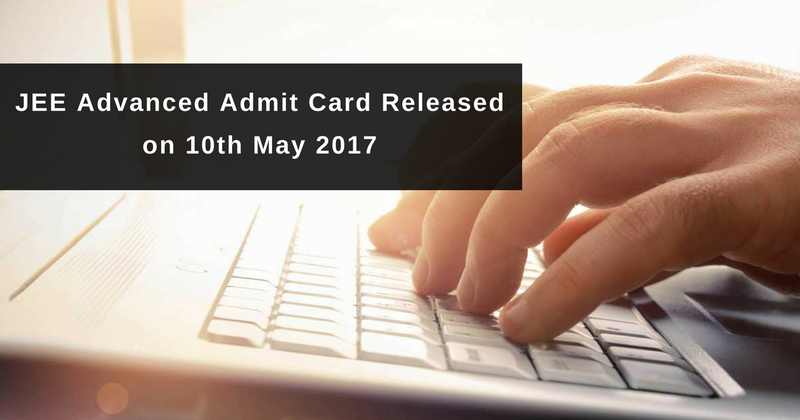 JEE Advanced Admit Card 2017 will be available for download from May 10 (10 AM) to 21 (9 AM). For download the admit card, candidates are required to login using their registration number and date of birth. Candidates are advised to take a print out of JEE Advanced admit card for future reference. Candidates will be allowed to write the exam only if they have valid Admit Card. The original admit card will be handed over to them at the examination hall after verification. This has to be kept safe till the admission process is completed. Those with unsuccessful verification will not be allowed to write the exam. The downloaded JEE Advanced admit card must have the same details as mentioned in the centre verification records. Note: The link to enter credentials for downloading JEE Advanced 2017 Admit Card will be provided on this page on May 10.